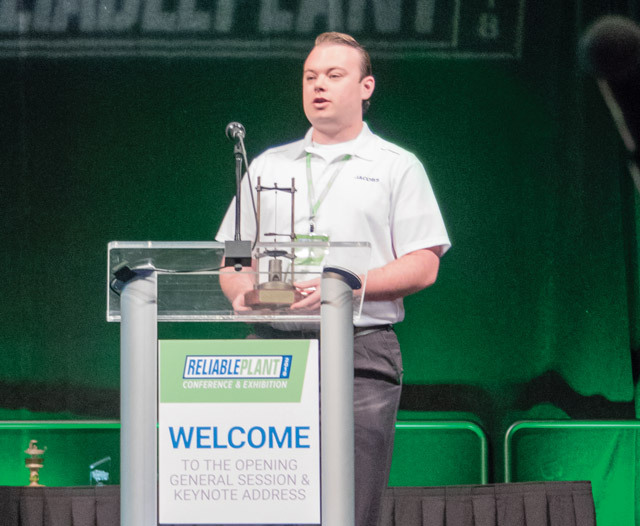 Jacobs’ Sean Hollis accepted the Augustus H. Gill Award from the International Council for Machinery Lubrication at the recent Reliable Plant Conference & Exhibition in Indianapolis. 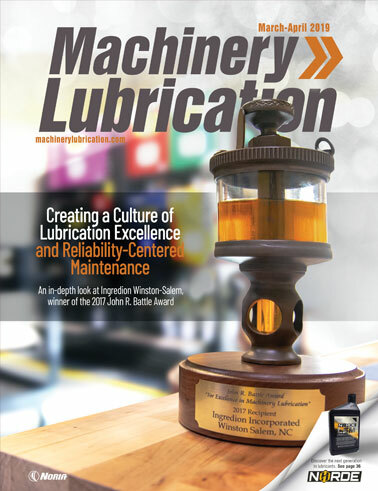 The International Council for Machinery Lubrication (ICML) has selected Jacobs as the recipient of the 2017 Augustus H. Gill Award for excellence in oil analysis. The engineering company worked with NASA on developing a world-class oil analysis program at the Kennedy Space Center in Florida. Reliability engineer Sean Hollis accepted the award on behalf of Jacobs and the Test and Operations Support Contract (TOSC) during the recent Reliable Plant Conference & Exhibition in Indianapolis. “We’ve been working toward this level of excellence since 2013, when the contract started, and we’re looking forward to continuously improving throughout the rest of the contract,” Hollis said. When Jacobs arrived on the scene at the Kennedy Space Center five years ago, company personnel began sorting through all the different contract requirements, regulations and executive orders that would need to align with NASA’s guidelines. They found that assets requiring oil analysis were not clearly defined. The operations department was focused on ensuring that the space shuttle was launched and not necessarily on performing oil analysis or trending the information. The previous program had been providing inconsistent results without identifying root causes. It was discovered that system engineers were just filing away oil analysis reports because they didn’t trust the results. With each department doing things a little differently, Jacobs consolidated the various procedures into easy, simple instructions. They standardized the way samples were being taken while verifying that everyone was using clean sample bottles and that everything was labelled properly. The number of like oils was also consolidated, resulting in a drastic reduction in shop-stocked oils. In addition, compatibility testing was implemented to ensure proper lubricant selection. Although still a work in progress, the oil analysis program has been a huge success. As more equipment arrives at the Kennedy Space Center for the Space Launch System program, the oil analysis program will need to expand to accommodate the space and fire- suppression system required to store oils and greases. Both the Augustus H. Gill and John R. Battle awards are open to organizations worldwide independent of any involvement with ICML. To avoid bias, ICML has chosen a policy by which it does not nominate companies. Instead, nominations must come from the companies directly via an application. 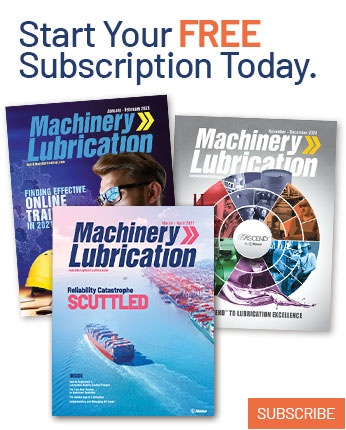 If you know of any organizations that deserve to be recognized for their machinery lubrication or oil analysis programs, encourage them to apply for an ICML award. To submit a nomination for one of ICML’s recognition of excellence awards, visit www.lubecouncil.org.